Full of sass, style and a seriously awesome soundtrack, Clueless was the movie that captured the hearts and minds of the 90s generation. Billed as a modern day version of Jane Austen’s Emma, we watched as Cher and the gang at Beverly Hills High navigated their way through the social minefield that is high school… and it was glorious. In the 1995 film, rich kid Cher’s outfits may have been designer but they never strayed from that distinctly 90s vibe – all fluffy cardigans and silk dresses – while the rest of the cast treated us to what have become the true classics of 90s fashion – Kangol hats, plaid shirts and scrunchies. The highlight of Cher’s enviable fashion was the wardrobe in her bedroom which featured rotating rails that were linked to an outfit builder app on her PC. We had seen the future and it was beautiful! Whatever! – The ultimate dismissal. As if! – What you are suggesting is not true, or would never happen. Baldwin – A very attractive male. Monet – Something that appears beautiful until you see it up close. I’m listening to the soundtrack as I write this and let me remind you, there are some absolute gems on there… Kids in America! All The Young Dudes! Rollin’ With My Homies! First time around, I remember that the soundtrack, which also features Radiohead, The Mighty Mighty Bosstones, Supergrass and even BEASTIE BOYS, simply enhanced my obsession and pushed the film even further up my list of things that were cool (putting it just below my favourite red jeans and denim bucket hat). The course of love never runs smooth for our heroine Cher – she’s either barking up the wrong tree or getting hit on by guys her friends like. But as with all good stories, it comes with a life lesson when she finds love where she least expects it – with someone who, in her opinion, dresses badly, doesn’t care about how he looks and has a horrible taste in music. BUT THAT DOESN’T MATTER, YOU GUYS, BECAUSE IT’S TRUE LOVE. 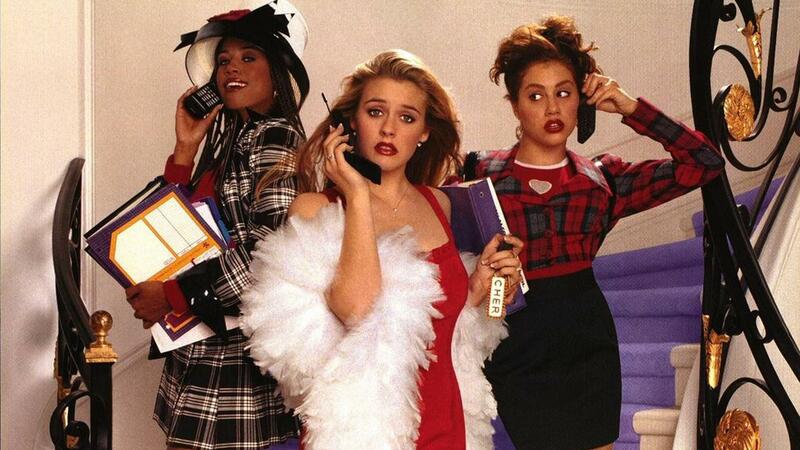 This shallow, spoilt 90s girl had made it – and a whole generation couldn’t be happier for her.